The first meeting of the new programme took place on Wednesday 26th April. The speaker was Joe O’Neill. His topic was ’The Secrets of the Victorian Lodging House’ Joe spoke well and the topic was interesting. 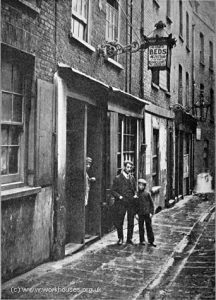 The “low” Lodging House was blamed by Victorians as being the sources of most crime. There were hundreds of Lodging Houses or Doss Houses” in each town and city. 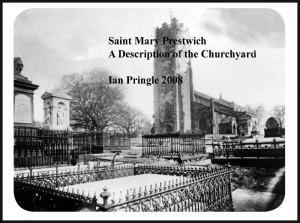 Angel Meadow and London Road were notorious areas in Manchester for “Low” Lodging Houses. But they served a useful purpose. This kind of Lodging House was needed by itinerant workers, immigrants, tramps, street vendors and prostitutes. For 4d a night you get a bed ( perhaps shared, with the sheets changed every three months) and access to cooking facilities. The conditions were primitive and unhygienic however and infested with vermin. For 1d you could get access during the day to a fire. This “low” sort of Lodging House gradually went out of existence as the Victoria’s reign progressed. New Regulations by Councils, the Salvation Army and the creation of Model Lodging Houses killed them off. Also there was a rise in work and prosperity and a house building boom in the 1870s. Joe’s talk was well supported with slides and images. He showed some excellent and evocative early photos of the “low” Lodging Houses themselves and their inhabitants. Joe has published a book on the subject which looks well worth a read. The next talk, “History Detected”, is on May 17th by Gary Jones a local Metal detectorist. The meetings are held at the Church Inn on Church Lane at 7.30 pm.